Young-Min Kim, Patrice Bellot, Élodie Faath, and Marin Dacos. 2012. Automatic annotation of incomplete and scattered bibliographical references in digital humanities papers. In Proceedings of the COnfrence en Recherche d’Information et Applications (CORIA 2012). Young-Min Kim, Patrice Bellot, Élodie Faath and Marin Dacos. Annotated Bibliographical Reference Corpora in Digital Humanities. 8th international conference on Language Resources and Evaluation (LREC 2012), pp. 494 – 501. Young-Min Kim, Patrice Bellot, Élodie Faath and Marin Dacos. Machine Learning for Automatic Annotation of References in DH scholarly papers. 16th international conference on Digital Humanities (DH 2012). Young-Min Kim, Patrice Bellot, Jade Tavernier, Élodie Faath and Marin Dacos. Evaluation of BILBO Reference Parsing in Digital Humanities via a Comparison of Different Tools. 12th ACM Symposium on Document Engineering (DocEng 2012), pp 209 – 212. Clémentine Adam, Cécile Fabre et Ludovic Tanguy. Étude des relations sémantiques dans les reformulations de requêtes sous la loupe de l’analyse distributionnelle. 19ème conférence du Traitement Automatique du Langage Naturel 2013 (TALN 2013). Simon Leva. Les sessions de recherche comme contexte des requêtes. In Actes de l’atelier sur la Contextualisation des Messages Courts, dans le cadre de EGC , Toulouse, 2013. Amal Htait, Sebastien Fournier and Patrice Bellot. « Automatic Identification of Bibliographical Zone in Papers ». In 10th edition of the Language Resources and Evaluation Conference (LREC2016), Portorož (Slovenia), 23-28 May 2016. Anaïs Ollagnier, Sébastien Fournier, Patrice Bellot. « Cascade de CRFs et SVM pour la détection de références bibliographiques diffuses dans les articles scientifiques ». In: COnférence en Recherche d’Information et Applications (CORIA 2016), Toulouse (France), 9-11 mars 2016. Amal Htait, Sebastien Fournier and Patrice Bellot. 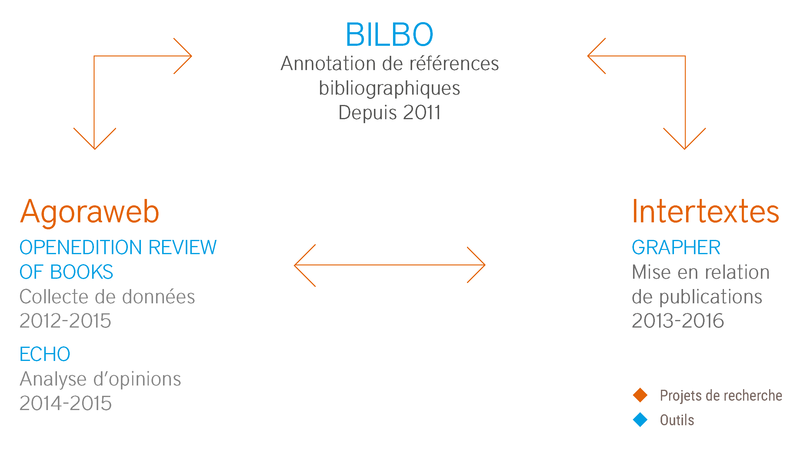 « Bilbo-Val: Automatic Identification of Bibliographical Zone in Papers ». In Proceedings of the Tenth International Conference on Language Resources and Evaluation (LREC 2016), May 23-28 2016, Portorož, Slovenia. Anaïs Ollagnier, Sébastien Fournier, Patrice Bellot. « A Supervised Approach for Detecting Allusive Bibliographical References in Scholarly Publications« . In: 6th International Conference on Web Intelligence, Mining and Semantics, pp. 4 p., Nîmes (France), 13-15 juin 2016. Amal Htait, Sebastien Fournier and Patrice Bellot. « LSIS at SemEval-2016 Task 7: Using Web Search Engines for English and Arabic Unsupervised Sentiment Intensity Prediction ». In, Proceedings of SemEval-2016 , pages 481–485, San Diego, California, June 16-17, 2016. Hussam Hamdam, Frédéric Béchet and Patrice Bellot. Experiments with DBpedia, WordNet and SentiWordNet as resources for sentiment analysis in micro-blogging. Second Joint Conference on Lexical and Computational Semantics (*SEM), Volume 2: Seventh International Workshop on Semantic Evaluation (SemEval 2013) , pages 455–459, Atlanta, Georgia, June 14-15, 2013. Chahinez Benkoussas, Hussam Hamdan, Patrice Bellot, Frédéric Béchet, Élodie Faath, Marin Dacos. « A Collection of Scholarly Book Reviews from the Platforms of electronic sources in Humanities and Social Sciences OpenEdition” In 9th International Conference on Language Resources and Evaluation (LREC 2014). Reykjavik, Islande, 2014. Hussam Hamdan. “Probabilistic methods for automatic book recommendation and dynamic analysis of web critics“. Actes des 8èmes Journées des doctorants du Laboratoires des Sciences de l’Information et des Systèmes J2L6, Isle sur la Sorgue, juin 2014. Hussam Hamdan, Patrice Bellot, and Frédéric Bechet. “Supervised Methods for Aspect-Based Sentiment Analysis“. In Proceedings of the Eighth International Workshop on Semantic Evaluation (SemEval’14). August 23-24, Dublin, Ireland. Hussam Hamdan, Patrice Bellot, and Frédéric Bechet. “The Impact of Z_score on Twitter Sentiment Analysis“. In Proceedings of the Eighth International Workshop on Semantic Evaluation (SemEval’14). August 23-24, Dublin, Ireland. Hussam Hamdan, Patrice Bellot and Frédéric Béchet. Sentiment Lexicon-Based Features for Sentiment Analysis in Short Text. In Proceeding of the 16th International Conference on Intelligent Text Processing and Computational Linguistics. April 14–20, 2015, Cairo, Egypt. Hussam Hamdan, Patrice Bellot, Fréderic Béchet. “Feature Extraction and Label Weighting for Sentiment Analysis in Twitter”. In Proceedings of the 9th International Workshop on Semantic Evaluation (SemEval 2015). June 4-5, 2015, Denver, Colorado, pages 568–573. Hussam Hamdan, Patrice Bellot, Fréderic Béchet. “CRF and Logistic Regression for Opinion Target Extraction and Sentiment Polarity Analysis”. In Proceedings of the 9th International Workshop on Semantic Evaluation (SemEval 2015). June 4-5, 2015, Denver, Colorado, pages 753–758. Hussam Hamdan, Patrice Bellot, et Frederic Bechet. « Sentiment Analysis in Scholarly Book Reviews ». arXiv:1603.01595 [cs], 4 mars2016. Chahinez Benkoussas and Patrice Bellot. Book Recommendation based on Social Information inex. INEX 2013 Social Book Search Track. Chahinez Benkoussas, Hussam Hamdan, Patrice Bellot, Frédéric Béchet, Élodie Faath, Marin Dacos, A Collection of Scholarly Book Reviews from the Platforms of electronic sources in Humanities and Social Sciences OpenEdition, in : ELDA, 9th International Conference on Language Resources and Evaluation (LREC 2014), Reykjavik, Islande, mai 2014. Chahinez Benkoussas, Patrice Bellot, Hussam Hamdan, Élodie Faath. « Utilisation des méthodes de classification pour la construction automatique d’un corpus de Comptes Rendus de lecture« , 12ème Rencontres des jeunes chercheurs en Intelligence Artificielle (RJCIA2014), Rouen, France, Juin 2014. Chahinez Benkoussas, Hussam Hamdan, Shereen Albitar, Anaïs Ollagnier and Patrice Bellot. Collaborative Filtering for Book Recommendation. INEX 2014 Social Book Search Track. Chahinez Benkoussas and Patrice Bellot. 2015. « Cross-Document Search Engine For Book Recommendation », 2nd Workshop on New Trends in Content-Based Recommender Systems (CBRecSys at ACM RecSys 2015), pp. 8, Vienna (Austria), September 2015. Chahinez Benkoussas, Anaïs Ollagnier and Patrice Bellot. 2015. « Book Recommendation Using Information Retrieval Methods and Graph Analysis. ». In Working Notes of CLEF 2015 – Conference and Labs of the Evaluation forum, 8-11 September 2015, Toulouse, France. Chahinez Benkoussas, Anaïs Ollagnier and Patrice Bellot. 2015. « The Impact of Linked Documents and Graph Analysis on Information Retrieval Methods for Book Recommendation. » In Proceedings of the International Conference IEEE/WIC Web Intelligence, December 6-9, 2015, Singapore. Julien Bordier, 2016. « Évaluation ouverte par les pairs : de l’expérimentation à la modélisation : Récit d’une expérience d’évaluation ouverte par les pairs ». <hal-01283582>. Julien Bordier, 2016. « Open peer review : from an experiment to a model: A narrative of an open peer review experimentation ». <hal-01302597>.